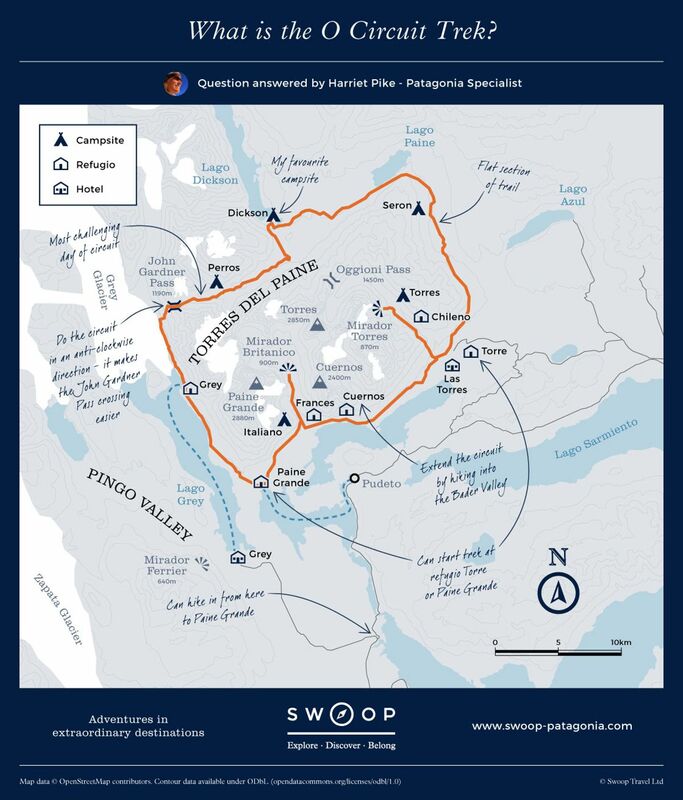 This 7-9 day route adds a northern section on to the park's famous W Trek. It's undoubtedly a tougher trail, marked by the extra distance and absence of refugios on the northern side, but the views of the icecap as you round the rugged John Gardner Pass are one of the highlights of the national park, and well worth the extra kilometres. Also known as the Full Circuit, the O Circuit runs right around the Paine range. Experienced hikers will enjoy the challenge of some of the tougher passes, and for beginners, this is definitely a hike to aspire to. What is the O Circuit Trek? Yes, some nights of camping are needed as there are no 'refugios' at certain points along the route. Almost all the group trips have camping throughout, with an option to upgrade on certain nights. Remember that if you join a guided tour then you'll be very well looked after at each of the campsites; tents will be set up for you and good hearty meals prepared for you. Will I have to carry all my kit? Generally speaking, the guide and their assistant will carry all the group equipment (tents, food, fuel, radio, first aid kit, safety equipment) and you will only be expected to carry your personal clothing, sleeping bag and sleeping mat. Sometimes people choose to hire a porter to help with this (often between two people), but in Chile this is expensive. Many young Chileans hike this route independently, but it is very remote and not without its risks. The weather conditions change, and heavy snow is known to come down on the higher passes, so navigation can become very difficult; sadly this route claims one or two lives each year. With this in mind, we strongly advise joining a guided group, but for very experienced hikers we have occasionally arranged self-guided treks. How wild and remote is the O Circuit? 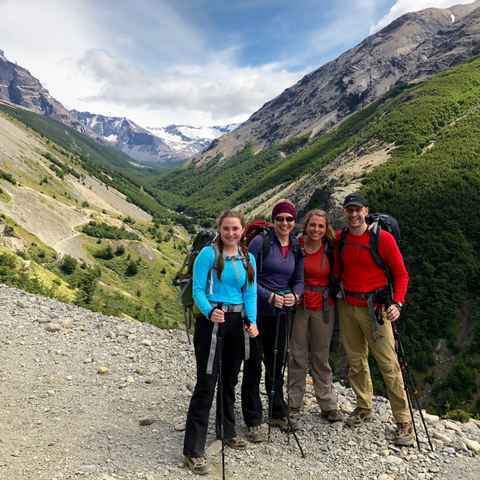 This route used to offer hikers a true sense of Patagonia at its most wild and remote, however it has become world famous and there are more and more people on the route. 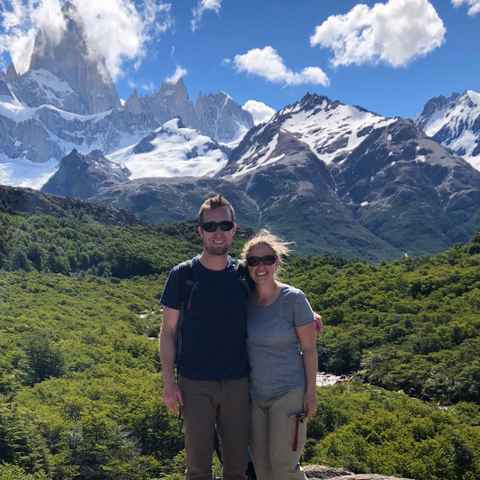 If you're looking to really get off-the-beaten-track, then let us know and we can advise on alternative routes within Torres del Paine and in other parts of Patagonia. You always hike the circuit anti-clockwise, because the John Gardner pass is too steep in a clockwise direction. Besides, the view with the whole ice cap below you as come over the pass is THE reason to do the full circuit. For avid hikers, Torres del Paine is certainly one to tick off the bucket list, but this national park is not alone. The whole Patagonian region boasts some of the best hiking in the world, with glaciers, volcanoes, forests and pampa waiting to be explored. Visit our hiking page to find out more about the full options available. Our combination trips allow you to see Torres del Paine and also explore a little wider. Prepare for your Circuit Trek by climbing volcanoes in the Lake District, or balance out the busy national park with a few weeks in the wild, remote Dientes range. The varying landscapes of the O circuit was breathtaking - mountains, rivers, forests, glacier lakes, valleys, and meadows. We didn't realize how different every hike would be. Highlights were John Gardner Pass, absolutely beautiful campsite Dickson, wonderful dinners (especially at Seron) and company, kayaking to Grey Glacier, and the unexpected detour trek to Los Cuernos and back to Perros to complete the O loop. One of the things I loved about the circuit was the variety. Hiking through the forests, the valleys, the beautiful plains, over the passes, alongside glacier fields were all highlights. I also loved seeing the mountains in different perspectives throughout the hike. The circuit trek in Torre del Paine was by far the highlight. The remoteness and the untouched nature were amazing. Both of our guides on the hikes were amazing! The simple and quiet beauty is what we will remember forever. The highlight of the trek was going over the John Gardner pass and then seeing the enormous ice fields and Grey Glacier. I did not realize how big they were, now I do. The Full Circuit met our expectations and so glad we did this and not the W because that is so crowded. The varying landscapes of the O circuit was breathtaking - mountains, rivers, forests, glacier lakes, valleys, and meadows. We didn't realise how different every hike would be. We were so happy to complete the full circuit. Our guide was knowledgable and helpful and let us keep a comfortable pace. Logistics at the campsites worked out great. The Full Circuit was even better than I expected, especially the trekking outside of W: less people, smaller campgrounds with better food and nice people. Our guide Mauricio was amazing. Within Torres del Paine, there was so much more flora than we were anticipating, the orchids stunning. We were really thankful for having a guide through the backcountry as he helped us to see so much, often pointing out flowers and birds that were naturally camouflaged. Our Patagonia trip was amazing- thank you so much for your help with booking it! Our guide, Isi, was THE best!! Could not recommend her more highly. So much beauty everywhere! !